Purchase — Morgan Allender . These paintings form part of my ongoing research into people, place and paint. As always, through the creation of these works I am seeking to distil and record experiences of being immersed in nature – a form of remembering through the making. Sitting somewhere on the margins of the landscape and still-life genres, I think of them as garden landscapes. They are deeply personal, drawing on emotive memories of distinct experiences, and carry with them a melancholic longing for Summers past and Summers yet to unfold. Each painting may be a whole afternoon of flashes of memory condensed into one scene, and although they are evocative of specific places I have been, they could also be anywhere.They are landscapes of memory and of the mind. Freight is available via insured courier and charged according to destination. All paintings are oil on stretched linen, unframed. Higher resolution images available by email request. Private viewing available by appointment in South Australia. Evening, 2017. Oil on linen, 151x199cm. (In the studio). To receive more information about a particular painting, or to see higher resolution pictures and zoom details, please request by email and they can be provided for you. Private viewings of all works are available upon request if you are in South Australia. All prices are in Australian dollars. Freight available worldwide via insured courier, priced according to destination. 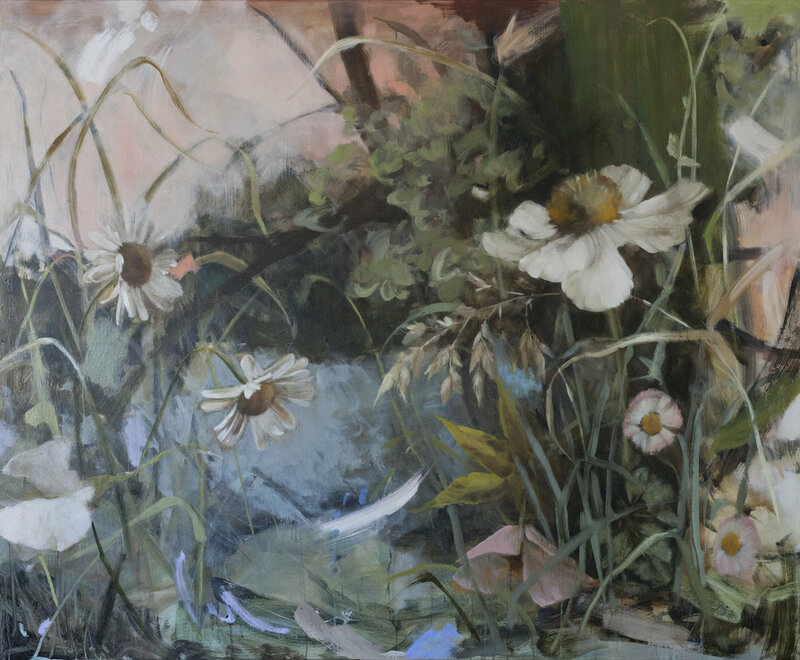 These paintings interweave themes of nature, landscape and still-life. 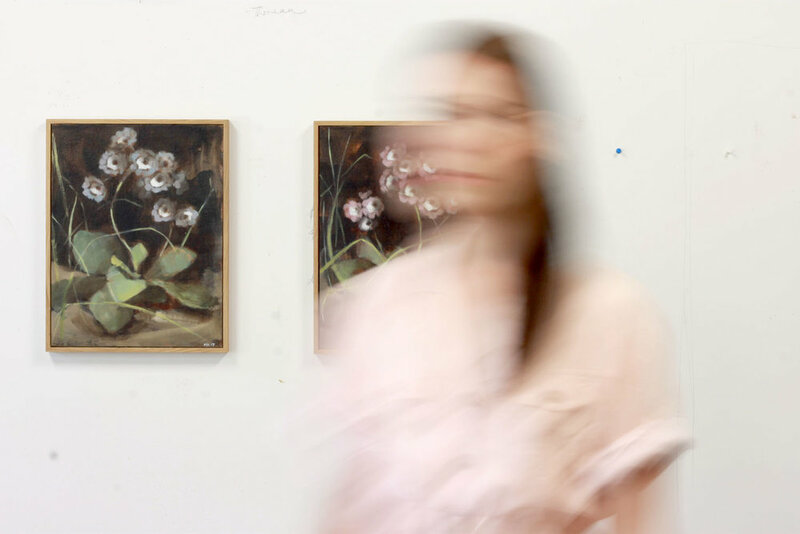 As with much of Morgan’s work, they were inspired by an ongoing interest in the spiritual and psychological interactions between people, plants and the natural world. 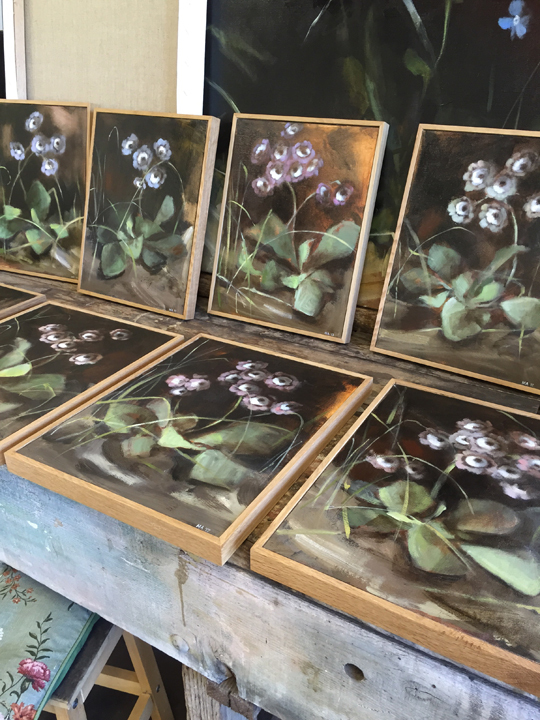 Her haunting botanical works explore the human connection with the natural world, the circadian cycles of day and night, the slow diffusion of one season into the next; an homage to those forces that surround us, shaping our daily lives, and yet are increasingly separate.